In an attempt to decrease the dose, anticipated side effects, and the cost of production of glibenclamide, GLC, a potent oral hypoglycemic drug, the enhancement of the dissolution and hence the oral bioavailability were investigated. Adsorption and co-adsorption techniques using carriers having a very large surface area and surface active agents were utilized to enhance the drug dissolution. Moreover, the Langmuir adsorption isotherms were constructed to identify the type and mechanism of adsorption. The optimized formulation showing the highest in vitro release was compressed into mini-tablet to facilitate drug administration to elderly patients and those having swallowing difficulties. The produced mini-tablets were tested for their mechanical strength and in vitro release pattern. In addition, the pharmacodynamic and pharmacokinetic studies in New Zealand rabbits were performed using the optimized mini-tablet formulation. Mini-tablets containing GLC co-adsorbate with Pluronic F-68 and Laponite RD showed 100 ± 1.88% of GLC released after 20 min. Pharmacodynamic studies in rabbits revealed significantly higher (p ≤ 0.05) hypoglycemic effect with the optimized mini-tablets at a lower GLC dose compared to mini-tablets containing the commercial GLC dose. Moreover, pharmacokinetic analysis showed significantly higher (p ≤ 0.05) AUC, Cmax, and shorter Tmax. The optimized mini-tablet formulation showed 1.5-fold enhancement of the oral bioavailability compared to mini-tablets containing untreated GLC. 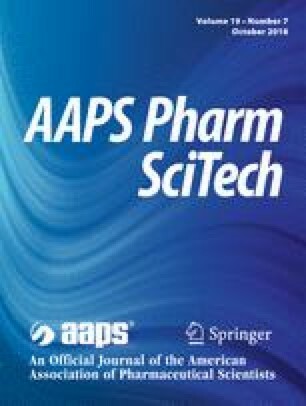 It could be concluded that the co-adsorption technique successfully enhanced the oral bioavailability of GLC. Furthermore, the produced mini-tablets have a higher oral bioavailability with a lower GLC dose, which could offer economic benefit for industry as well as acceptability for patients. The authors are grateful to Faculty of Pharmacy, Assiut University, Egypt, for supporting and facilitating the research. The authors are also grateful to T3A Company for Pharmaceutical Industries, Assiut, Egypt, for gifting GLC and glipizide. The authors are grateful thankful to Dr. Hamzah Maswedeh, Department of Pharmaceutics, Faculty of Pharmacy, Qassim University, KSA. Glyburide dosage guide with precautions. http://www.drugs.com. Accessed 1 Dec 2017. Rockwood Ltd. Laponite: the performance enhancer. http://www.prochem.ch/html/forum/forumbeilagen0107/Laponite_RW_broch_e.pdf. Accessed 31 Mar 2016. Evonik Resource Efficiency GmbH. Product information AEROSIL® 200. https://www.aerosil.com/www2/uploads/productfinder/AEROSIL-200-EN.pdf. Accessed 22 Feb 2016.